This article takes a look at two attempts at using technology to prevent corruption. Across the road from our office is a store that sells fruit juice. The juice is always of excellent quality when the owner is present in the store. But whenever the owner is not present, the juice tends to get greatly watered down. So, we began to wonder why the owner of the store was so generous with the ingredients while his employees were not (considering that they weren’t the ones paying for it). I got the answer to the question from a friend who was familiar with unorganized food retail in India. The friend explained to me that in shops that size, the owner would have no way of keeping track of sales. He would come to the shop at the end of the day and calculate the amount owed to him by the quantity of nuts and fruits that had been consumed. So, by using fewer fruits and nuts, the employees were cheating the owner of his money. A tool was devised to prevent this kind of dishonesty, more than a hundred years ago. It was the Cash Register. 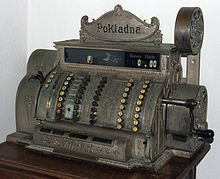 The first cash register was in fact nicknamed ‘The Incorruptible Cashier’. The first cash register invented by James Ritty following the American Civil War. He was the owner of a saloon in Dayton, Ohio, USA, and wanted to stop employees from pilfering his profits. He invented the Ritty Model I in 1879 after seeing a tool that counted the revolutions of the propeller on a steamship. With the help of John Ritty, his brother, he patented it in 1883. 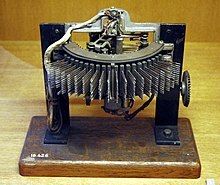 On January 30, 1883, James Ritty and John Birch received a patent for inventing the cash register. James Ritty invented what was nicknamed the “Incorruptible Cashier” or the first working, mechanical cash register. His invention came with that familiar bell sound referred to in advertising as “The Bell Heard Round the World”. It is possible that cash registers haven’t caught on in India because modern cash registers need electricity, and most small shops don’t have round-the-clock electricity. That is probably why small retailers in India usually don’t succeed in expanding beyond more than a couple of stores (as many as they can man with close family). So, the cash register can be thought of as a scalability tool as much as a recording tool. Now, on to another piece of technology used to prevent corruption more than a hundred years ago. In the early years of the telephone, callers would call the exchange and ask to be connected to someone they needed to speak to. The operator at the exchange would then have to manually identify the callee and complete the connection. It was invented by Almon Brown Strowger, and first patented in 1891. … According to some accounts, Almon Strowger, an undertaker, was motivated to invent an automatic telephone exchange after having difficulties with the local telephone operators, one of whom was the wife of a competitor. He was said to be convinced that she, as one of the manual telephone exchange operators was sending calls “to the undertaker” to her husband. If the story were true, then the Strowger switch can also be thought of as a tool to prevent man-in-the-middle corruption. What is interesting is that in both cases, the fraudulent activity becomes possible only because of the presence of a man in the middle – the cashier in the case of the Cash Register, and the telephone operator in the case of the Strowger Telephone Exchange. In each case, the mitigation strategy involved either the elimination of the man in the middle, or the reduction of discretionary powers of the man in the middle. It is possible that similar methods might be employed in reducing corruption in government as well. For example, one solution to the problem of corruption in governments and bureaucracies might be a form of direct democracy, in which the key operational decisions affecting a locality, like the choice of road laying firms, are made by the local citizens themselves (elimination). Another solution would be to deploy a tender management system such as the one we proposed in an earlier post, which would enforce fairness in selection procedures (reduction of discretionary powers). In this article, we discuss an Achilles’ heel present in many democratic institutions. We claim that many democratic institutions can be made to fail in ‘log n’ time (exponentially fast) if patronage (nepotistic) networks are allowed to grow unfettered. We then support the claim using real-world examples of the failure of democratic institutions (political and otherwise) and discuss why such failure has not been observed in polity in India. We also look at how text analytics can be used to detect (and consequently enable steps to be taken to prevent) such failures. In democratic institutions, voting mechanisms are used to confer upon one individual (from a field of eligible candidates), powers and responsibilities as specified in the charter of the institution. In some cases, the powers that accrue to the elected individual are so great that they enable him to use them to ensure his or her re-election. There are two methods available to such an individual. The first is to pay off the electoral college and secure re-election. This method is an O(n) algorithm. The quantum of resources required to secure re-election is proportional to the number of people who need to be suborned. So, this method only works in cases where electoral colleges are small (for example, in the case of committees deciding job appointments). A faster method of suborning large numbers of people exists. The establishment of a hierarchy of patronage can leverage the dynamics of social networks to speedily (in log n time) corrupt very large numbers of people. It works like this: The person who is elected to head the country appoints as immediate subordinates only people who are on account of tribal or ethnic affiliations expected to be loyal to him/her. This appointment is often accompanied by a monetary exchange in the form of a bribe paid by the appointee to secure the post. Such a monetary exchange helps cement the loyalty since the person making the payment becomes dependent on their superior’s continuation in power to recoup the money spent. In other words, the immediate subordinates are forced to invest in their superiors’ careers. The subordinates so appointed in turn appoint people loyal to themselves to positions below them, in order to recover their investment in the person above them and so on. Very soon, the entire government machinery becomes beholden directly or indirectly to the person at the top for their jobs and has a vested interest in keeping the person at the top in power. In some countries, this effectively transforms the democratically elected ‘president’ into a dictator for life. The first example of such failure is possibly (and I am just illustrating a point – no disrespect intended) the government of Cameroon. The President of Cameroon has been in power since the 1980s. The President is impossible to replace in spite of rampant corruption and economic mismanagement because all the tribal chiefs and officials in Cameroon are beholden to the President. All these officials and chiefs try and recoup their investment by rent-seeking behavior (you will need their good offices if you wish to do any business in Cameroon). The resulting economic climate doesn’t necessarily encourage the growth of entrepreneurship or investment in Cameroon. Iraq for many years was ruled by a dictator who had managed to suborn an entire political system. Iraq once had a participatory democratic system. But the use of patronage by Saddam led to Iraq coming under totalitarian rule. Similar failures can be seen in post WW2 Libya and Syria, and in Stalin’s Russia. One common feature of many of the countries where such failure has occurred is that they have hierarchical social structures in which respect and obedience can be commanded by people higher in the hierarchy from people lower in the hierarchy. Cameroon has a culture of veneration of elders and tribal leaders. So do the countries of the Arab world. India also has somewhat similar cultural traits. So, it is very interesting to see that a similar process of deterioration of democracy has not been observed in India. One explanation is that India was saved by its own heterogeneity. India is made up of distinct linguistic regions and ethnic groups. It would be impossible for tribal and ethnic hierarchies to span India’s many linguistic and ethnic boundaries. So, even if one province has failed, that would not trigger failure in neighboring provinces, and the regional despot would not be strong enough to change the Indian constitution. Examples of such failure can arguably be observed to have happened already in Karnataka and in Tamil Nadu. In Karnataka, a couple of mining barons managed to become ministers in the government and managed to exercise a lot of control over it for a number of years. Had Karnataka been an independent political entity, they might at some point have attempted to change the constitution to give themselves more power and possibly unlimited tenure. In the state of Tamil Nadu, the ruling politicians are suspected of building patronage networks around themselves in order to facilitate rent-seeking behaviour. If Tamil Nadu had been an independent political entity, I suspect that it might have lost its democratic character, since the number of people below the Chief Minister with a vested interest in keeping him/her in power would have become too big to permit free and fair elections to take place. But what is interesting is that in India, though democracy could have failed at the level of the states (controlled by politicians who had suborned a large part of the mechanism of government) the possible failure did not take place or proved reversible. That is probably because no kinship networks extend to all parts of India. The fragmentation must have protected the constitution and the electoral system. That in turn allowed constitutional and legal frameworks and electoral politics to correct the failures. In Karnataka, the corrupt mining barons and the Chief Minister who supported them ended up behind bars. In Tamil Nadu, some family members of the corrupt Chief Minister ended up behind bars. In both states, the parties that had engaged in corruption were voted out of power. So, failure through networks of patronage might be difficult to engineer in India because of the extremely heterogeneous nature of its society (a result of size and diversity). Why would someone intending to build a patronage network only elevate kith and kin to positions of power? As in, why did the dictators in Iraq and Syria choose to pack the governing organizations with people from their own community or tribe? One possible answer emanates from the work of George Price (http://www.bbc.co.uk/news/magazine-24457645), who showed that altruism exhibited towards close relatives can have concrete benefits for a selfish individual. Price’s equation explained how altruism could thrive, even amongst groups of selfish people. Here is the Wikipedia page describing the Price equation (http://en.wikipedia.org/wiki/Price_equation). So, it is possible that the elevation of kith and kin minimizes the possibility that the people so elevated might one day turn against their patron (they might be more likely to exhibit non-selfish behavior towards their patron). One is tempted to ask whether it is possible to detect at an early stage the process of failure through patronage of a democratic system. The answer is yes. It appears to be possible to build a protective mechanism that can uncover and highlight the formation and growth of nepotistic patronage networks. Prof Perotti, along with others, has published revealing studies of university teachers, showing the extraordinary concentration of surnames in many departments. Take the University of Bari, where five families have for years dominated the dozens of senior positions in Business and Economics there. Or consider the University of Palermo, where more than half the entire academic population has at least one relative working within the institution. I happened to find one of Allesina’s papers titled “Measuring Nepotism through Shared Last Names: The Case of Italian Academia” on the internet. Both types of analysis (Monte Carlo and logistic regression) showed the same results: the paucity of names and the abundance of name-sharing connections in Italian academia are highly unlikely to be observed at random. Many disciplines, accounting for the majority of Italian academics, are very likely to be affected by nepotism. There is a strong latitudinal effect, with nepotistic practices increasing in the south. Although detecting some nepotism in Italian academia is hardly surprising, the level of diffusion evidenced by this analysis is well beyond what is expected. Concentrating resources in the “healthy” part of the system is especially important at a time when funding is very limited and new positions are scarce: two conditions that are currently met by the Italian academic system. Moreover, promoting merit against nepotistic practices could help stem the severe brain-drain observed in Italy. In December 2010, the Italian Parliament approved a new law for the University. Among other things, the new law forbids the hiring of relatives within the same department and introduces a probation period before tenure. The analysis conducted here should be repeated in the future, as the results could provide an assessment of the efficacy of the new law. This analysis can be applied to different countries and types of organizations. Policy-makers can use similar methods to target resources and cuts in order to promote fair practices. The analysis that Allesina performed (a diversity analysis of last names) is a fairly easy text analytics task and provides a clue to the solution to the problem. Such an analysis can unearth nepotism and allow steps to be taken to prevent it. Extensions of the method can also be used to determine if, as in the case of Iraq and Syria, a certain community or ethnicity or family has taken over or is beginning to take over the governing mechanisms of a country. And if the problem is identified early enough, it might give the constitutional, legal and electoral institutions of a democracy a fighting chance at protecting themselves and lead to a correction of the failure.